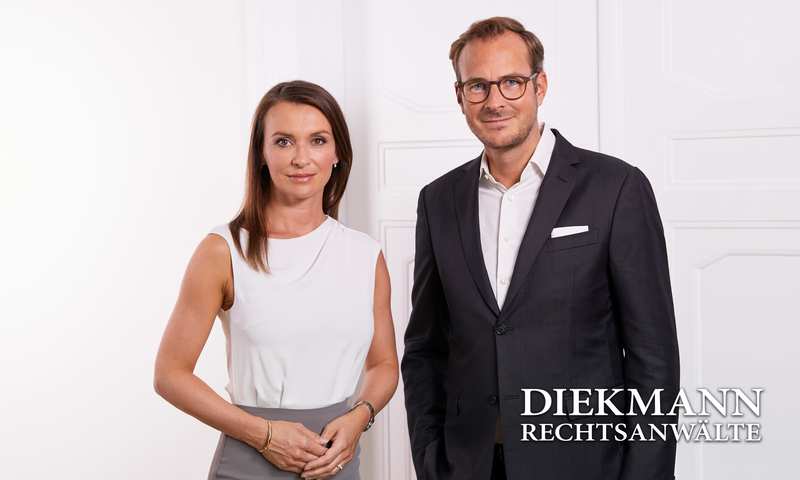 DIEKMANN Rechtsanwälte is a law firm which specialises in all fields of national and international business law, in particular company law, competition law and the associated issues relating to tax law. We advise our clients, primarily small and medium-sized enterprises and entrepreneurs, on all company-related activities and represent them in both out of court and in court proceedings as well as before courts of arbitration. We build up a personal and permanent business relationship with our clients. We succeed in this because we expect three things from our services as lawyers: quality, speed and reliability. Our proposed solutions are not just based on sound legal advice, but also consider all business administration and commercial circumstances. If required we can draw upon an international network of well-known law firms in order to also properly represent your interests outside of Germany.